NOTE: If after reading this, you would like to apply for one of the credit cards that the Fox family uses to max out credit card rebates, we can send you a link and that lines our pockets with a bit of money at no additional cost to you. Let me know if you’d like to do that. We’ve talked about how your cell phones are a great killer of inflation, along with other things store brand groceries and Craig’s List and the sharing economy. But there’s another product that is totally killing inflation that makes those seem like small potatoes—your credit card and the rebates you can now get. Back in the day credit cards allowed a convenient way to purchase products without having to carry around a lot of cash. Eventually competition among credit card companies began to heat up, and by the late 1990s they started offering rebates to card holders on their purchases. They charge interest and fees to those who carry a balance. This is where there is a ton of money to be made. For the purposes of this post, we’ll ignore this other than saying the Fox family never carries a credit card balance. They take a cut of all purchases. When you buy something for $10 at the store with your credit card, you end up paying $10.00 for it, but the store only gets about $9.41. That’s because the credit card processing company charges 2.9% of the purchase plus $0.30 on each transaction. Most people don’t think about this revenue stream, but it definitely adds up. So obviously to maximize revenue from #2, credit card companies want as many people buying as much stuff as possible on their credit cards. That leads to competition from the likes of Chase and Capital One and a ton of others, and that competition has taken the form of credit card rebates that over the last 20 years have gotten more and more generous. 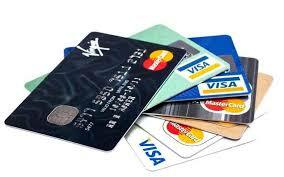 Credit card companies are enticing you into using their products by giving you a cut of #2. My first credit card was a Visa associated with Exxon. It offered a rebate that could be redeemed for free gas. It was something like 0.5% of my purchases, but it was better than nothing. I was already buying gas so once a month I would get something like $12 off a fill-up. Over the course of a year that added up to maybe $150, not a ton of money but free money nonetheless. Given that I wasn’t getting that before, that was definitely “deflation” on my gas purchases—SCORE. Compared to what is offered today, that was just a pittance. Fast forward to 2018 and things have definitely become higher stakes. We are bombarded with commercials where Discover gives you a rebate and then matches it at the end of the year, Capital One gives you a 1.5% rebate on all your purchases, and Chase gives 2 airline miles for every dollar you spend. Credit cards are even offering one-time bonuses of hundreds of dollars if you sign up and spend a few thousand dollars in the first few months. It’s easy to get overwhelmed by all the marketing and confused by all the intricacies of the rebate programs. But there’s gold in them hills. If you take a few minutes (and that’s really all it is) to understand the different programs and figure out which one is the best for you, it can be thousands of dollars each year in your pocket. THOUSANDS OF DOLLARS. I’ve mentioned this a few times, but the Fox family plays the credit card roulette game and last year it amounted to about $4,000 in our pockets. Given we spend about $120,000 a year on expenses, that’s almost 4% of our expenses each year. You’re probably not surprised that I look at the impact with a spreadsheet, and when you do the numbers it has an enormous impact. Let’s genericize it and look at my cousin Savvy Fox. He’s a 22-year-old who graduated from college making $50,000 per year and spending about $40,000 per year of which 80% is stuff on his credit card. His only major expense that he doesn’t put on his credit card is his rent (and eventually his mortgage); but for everything else he uses his credit card. Of course, he pays his credit card off each month to avoid usurious interest expenses. Over the course of his life his income and expenses will grow 3% each year until he’s spending $120,000 per year (like us) when it flattens out. At age 22 Savvy spends a total of $40,000 of which $32,000 (80% of the total) he uses credit cards for. Because he’s savvy with his credit cards, he gets about a 4% rebate on those purchases which is $1,280 for the year. This is found money so Savvy invests it in and index fund and gets about 8% each year. If he follows this plan for his entire working life (until age 65), when he retires this little exercise will give him a nice little treasure chest of about $660,000. $660k for doing nothing more than maximizing his credit card rebates!!! Go ahead and read that again. In a world where the average net worth of a person is $80k, this little gambit by itself gives you 8x that. BOOM!!! To further illustrate the point, $660k is when Savvy is really savvy with credit cards and gets the 4% rebate. If he wasn’t savvy and just got a 1% rebate, at age 65 he’d have $165k. That’s really, really good; twice the net worth of the average American, but still HALF A MILLION less than what he could have. That should show you the stakes. Now let’s talk about how you get there. It’s important to find a credit card with the highest rebate. Right now the ranges from about 1.5% to 2.0%. But the key is the sign-up bonus. You can fairly easily get a credit card with a sign-up bonus of $200 and higher, and you get that if you spend something like $1,500 in the first few months. Our family typically plays this game 2-3 times per year, for both Foxy and me. So we sign up for a new credit card every few months. Our normal spending easily gets us to that threshold for the bonus. So take 3 new credit cards per year times 2 people, and you get a total of 6 new credit cards per year, each of which has a $200 rebate. Just the rebate gets us at least $1,200. Add to that 1.5% rebate on all our purchases that we can use a credit card for, let’s say $6,000 per month, and you have another $1,080. That’s over $2,000 right there of found money. That gets us to about 3.2%, but we do better. As generous as personal credit card rebate programs are, business credit card rebate programs are better. Since Foxy Lady and I hung up our own consulting shingles, we had to set up a business. Because we have a business we can get business credit cards!!! At Capital One a typical personal credit card has a rebate of $150 and a 1.5% cash back. Not bad. Their business credit card has a rebate of $500 and a 2% cash back. Much better. At Chase, they have a business credit card with a $700 rebate (after you account for the annual fee). Now we’re talking. You can easily imagine that if Foxy Lady gets two Capital One credit cards per year and two Chase cards, and I do the same, the rebate dollars add up. I’ll do the math for you—it’s $4,800. Add to that the cash back which is around 2%, and that’s another $1,440. We’re getting about $6,200 EVERY YEAR for doing nothing more than using credit cards. That’s a ton of money that is just sitting out there for the taking. Bringing this full circle, there is a ton of money out there for people who put maybe two hours per year into getting it by playing the credit card game. That money hasn’t always been there, so that by definition is DEFLATION. Credit cards can be a huge inflation killer. If you are interested in signing up for one of the cards we use, if we send you a link we get a bit of a bonus from Chase or Capital One. If you want to do that, just shoot me an email. Jan 2018 has been sizzling . . .